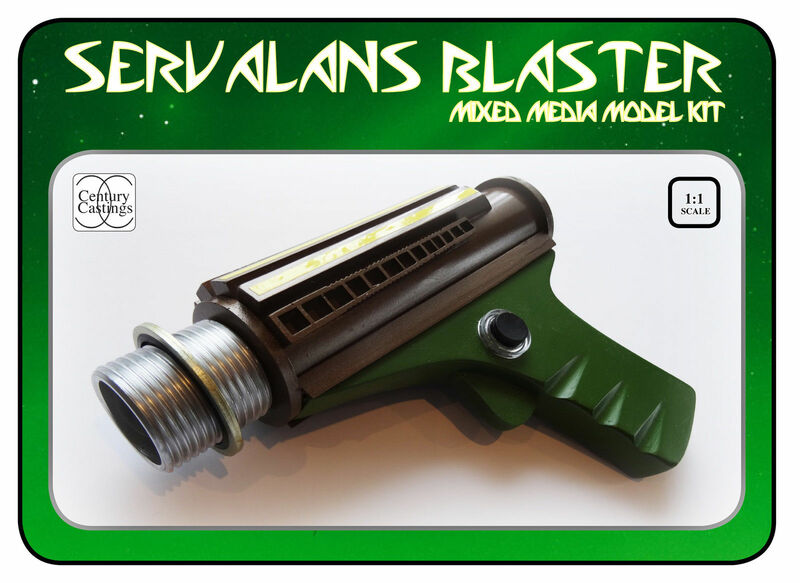 THE KIT COMPRISES ALL THE PARTS NEEDED TO BUILD ONE BLASTER AS SHOWN IN THE PHOTOS AND INCLUDES FULL INSTRUCTIONS FOR BUILDING AND PAINTING AND A DOUGHTY WASHER AS USED ON THE SCREEN USED ONE. EACH KIT IS CAST FROM THE MASTER MODEL, IN TOP QUALITY, POLYURETHANE RESIN. 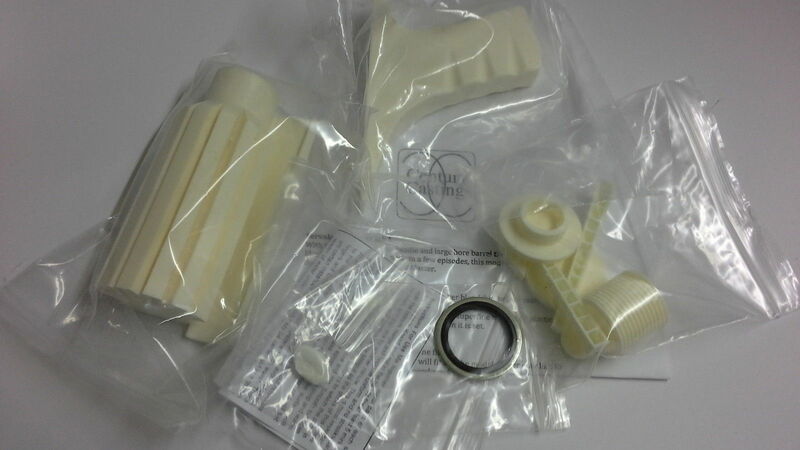 AS WITH ALL RESIN KITS, THE PARTS WILL REQUIRE FINISHING / FILLING: BUBBLES, FLASH, OVERFILL. YOU WON'T BE DISAPPOINTED IN THIS KIT. ITS AS CLOSE AS I COULD GET IT... THE BUTTON IS EVEN CAST FROM AN FRIEDLAND BELL PUSH...AS USED IN THE ORIGINALS. ITS ALSO POSSIBLE TO DRILL OUT THE HANDLE AND USE A REAL BUTTON IN PLACE OF THE CAST REPLICA AS I HAVE DESIGNED THE KIT SO THE BUTTON IS A SEPARATE PIECE.